My Cheap Holiday to Venice was an Exciting Road Trip! Do you want the same experience? Then read my story... Like you I was searching for a cheap holiday to Venice. I had to organize my trip to Venice Italy very well because I had to go on holiday with my family. Somehow I decided to go with my family to Marina DI Venezia by car. Having a vehicle around Venice is convenient because you can explore the area and you can choose during your road-trip any hotel you like. But my goal was to reach my booked budget accommodation resort in Punta DI Saboni, near Venice. The trip went well with two kids sleeping in the back seat, but I imagined our arrival a bit more comfortable. My Venice trip of 13 hours from Amsterdam. Pretty harsh, but if you want a cheap holiday to Venice, a road trip is an excellent alternative. I left August 12 at 7:30 pm, drove the whole night, and I arrived on August 13 at 10:30 am in Venice. I didn’t sleep, and I was pretty tired. I planned to take the tronchetto from Venice via Lido to Punta DI Saboni. A lovely morning view from the ferry. With this car-ferry, you can reach Punta DI Siboni in just 45 minutes. Nice idea! I thought… I drove in the car to the tronchetto dock to buy my ticket, BUT, since a year ACTV has cut their services to Punta DI Saboni. The ferry goes to its final destination ‘Lido’ and no further. 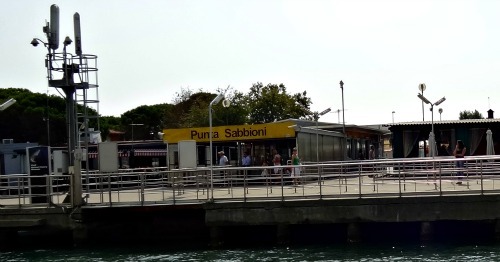 On the website of ACTV, their line to Punta DI Saboni is still operating. But, this line doesn’t exist anymore!!! Since my complaint to them, their site had an update. The Italian man kept on saying no 'it is not possible.' This negative turn on our trip would mean for us an extra 1-hour drive via Jesolo to my destination Marina DI Venezia. It was hot, everybody tired. Such a disappointment… And I was well prepared. How could this happen to me, a frequent and an experienced visitor to Venice Italy? After such a long drive my kids were looking forward to having such an exciting boat trip. Luckily, they are still young (4 and two years), so they don’t know yet what they missed. The route goes through local villages, and there is only one main road to this touristy family holiday park area... From Venice take the direction to San Marco Airport and then to Jesolo. From there the signs will guide you to the popular budget accommodations near Punta DI Saboni. Because of the holiday season, there is much traffic. So I'm sure we would have a traffic jam. And I was right! 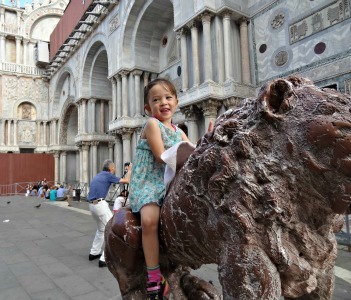 We were not the only one who took the long drive for this cheap holiday to Venice. There were Campers all over the place. It took us 3 hours instead of 1 hour to reach Marina DI Venezia. 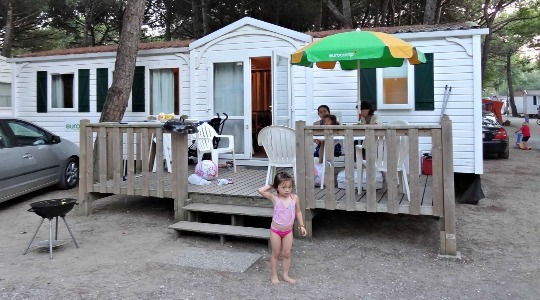 I booked our cottage via Eurocamp. An organization which offers their cabins on different campsites. I heard only positive rumors about Eurocamp. But, now it took us more than 1 hour to check-in. Like us, around ten families were waiting with the same purpose. Cause there was only one staff who did the registration and also guided people to their holiday houses, it took one hour extra waiting. But finally, 4:30 pm in my Venice holiday resort, a cold beer – beautiful weather – and the girls were already exploring the family park. Sounds terrible right? A very long drive. But, hey! You can prepare better than me! 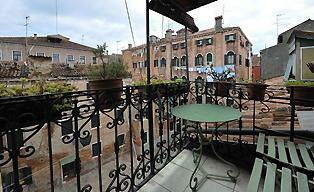 In total, we stayed four nights at Marina DI Venezia and three nights in Venice center at Hotel Palazzo Priuli. The nights in Venice we parked our car in the San Marco parking garage at the Piazzale Roma. My road trip towards home I drove in 3 days. My family enjoyed Verona and the southern part of Germany. You have read about how I experienced my Cheap Holiday to Venice! I have some suggestions, as you will read. Please click on the links to explore my site more.